It’s no secret that we are talented bunch of people in the Pilbara. 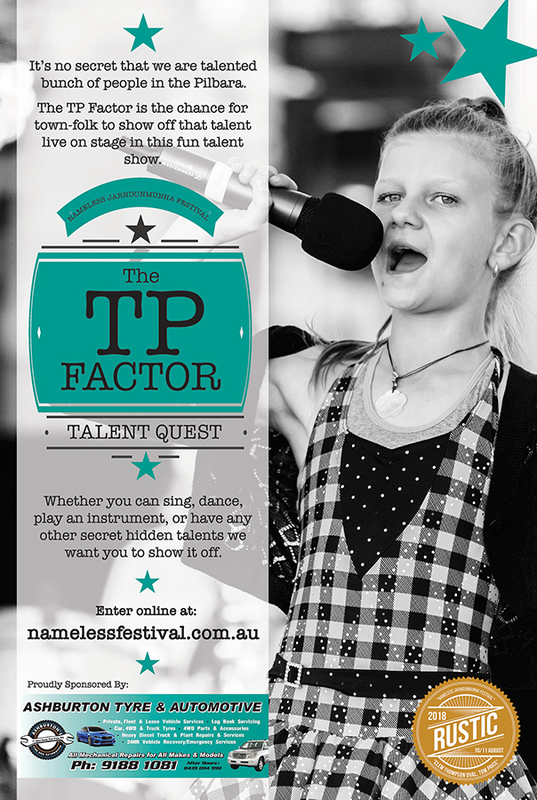 The TP Factor is the chance for the town-folk to show off that talent live on stage in this fun formatted talent show. TP Factor will run throughout the day on Saturday performing to the town on the village green. Whether you can sing, dance, play an instrument, or have any other secret hidden talents we want you to show it off. You can enter as a soloist or group. Remember the theme for the festival is REWIND, so you will receive extra accolades if your act celebrates the theme. So think Retro, Vintage, Nostalgia and be in to win!